If you think about Rioja wines, I bet you imagine a glass of smoky red rioja with lots of vanilla and cloves and spice. Who can blame you, as 75 per cent of the wines from the Rioja region are red. Let’s turn the tables and try a handful of Rioja wines but not red ones … some whites and a rosé too for good measure. 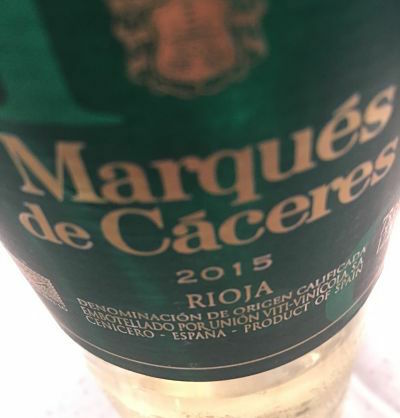 Marqués de Cáceres Rioja Blanco 2015 (12.5% abv, £7.99 or £6.99 in a buy six deal at Majestic) This wine is produced from viura grapes – also known as macabeo which is a key grape in cava. The wine has apples and pears on the nose and a subtle aroma of a herb border. A good sip and there’s more apples and pears and a refreshing acidity which just takes the edge over the fruit flavours. Fincas de Azabache Tempranillo Blanco 2015 (12% abv, RRP £10.99 www.sandhamswine.co.uk) This unoaked white is made from a relatively new grape variety, tempranillo blanco, a mutation of the red tempranillo grape which is the backbone of red rioja wines. I loved the shape of the bottle; a wine with personality before I’d even opened it. 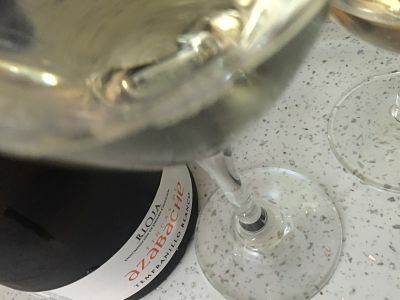 Once poured, aromas of green apple, citrus and floral dance together above the glass, then in the mouth it is well-balanced and fruity with a bright citrus finish. 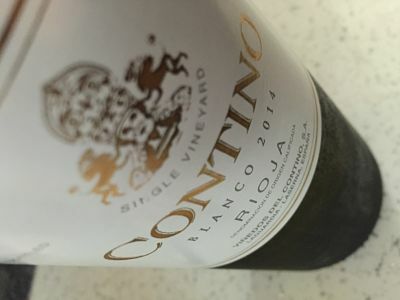 Contino Blanco 2014 (13% abv, RRP £25.45, www.waitrosecellar.com, hedonism.co.uk, The Wine Reserve) With one sip, you can tell this is an elegant well-crafted wine and yes, the price suggests that. It is a blend of three grapes – viura (80%) with malvasía and white grenache in supporting roles – from old vines which deliver more concentrated flavours. It is partially fermented in French oak barrels then aged on its lees for six months. 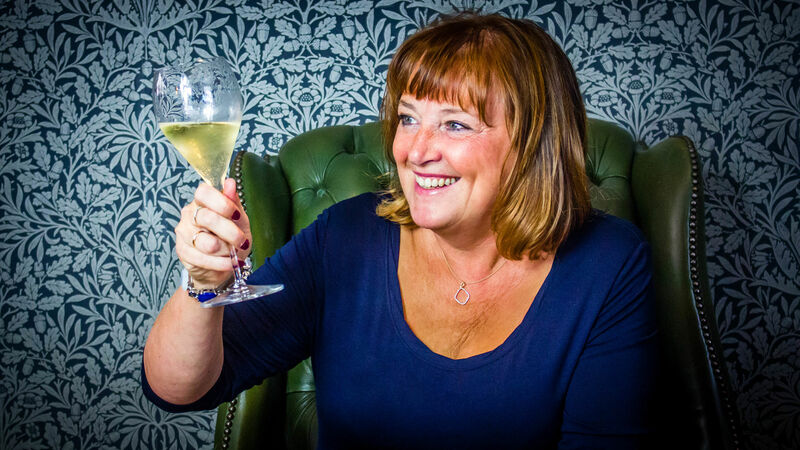 The winemaker’s hard work pays dividends in creating a fresh, complex, fruity wine, with a citrus nose and a good blend of fruit and spice which leave a pencil-sharp juicy memory on the tastebuds. 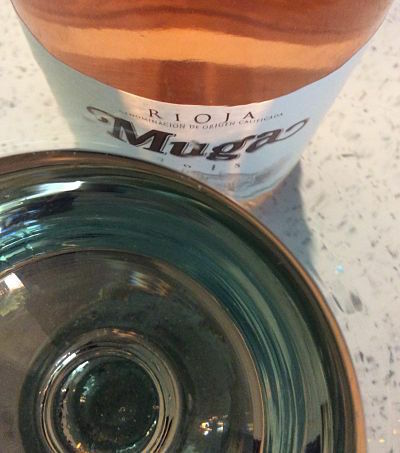 Muga Rosado 2015 (13% abv, RRP £9.99 at Waitrose, Majestic and The Wine Society) Mmmm. One of the nicest rosés I’ve tried all summer. The grapes? Viura and tempranillo are back again, but the mainstay is garnacha (60%) which is never backward in coming forward. It delivers a summer fruit compote of aromas, though not sickly sweet strawberry syrup; but clean, fresh, breezy and uplifting. Ooo there’s a subtlety of fruit tart pastry and a hint of spice too; then to taste the red fruits stir the senses alongside a squeaky acidity which keep the mouth a-watering. Next PostNext Camper Vin is wine for campers and festival-goers. But what’s it like?